Every season I get excited to see the trends that crop up, the ones that stay around, and the ones that are slightly adjusted and refined. This Spring, I noticed some that really had me excited. Some of them I will be embracing and others just aren’t me, but I am still inspired by the progression and changes that come with fashion. 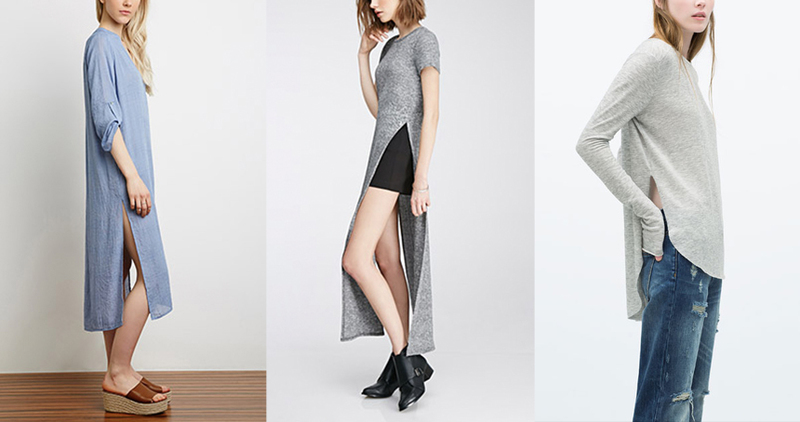 So, here are the trends I am really enjoying this upcoming Spring. I also have suggestions of how to properly wear them and where to nab the trend without killing your monthly clothing budget if there is one of these that is a must for you this Spring. I hope all of you enjoy! This Spring you are not only going to see women rocking the normal floral pattern, but you will also be seeing men thriving in them like you haven’t before. 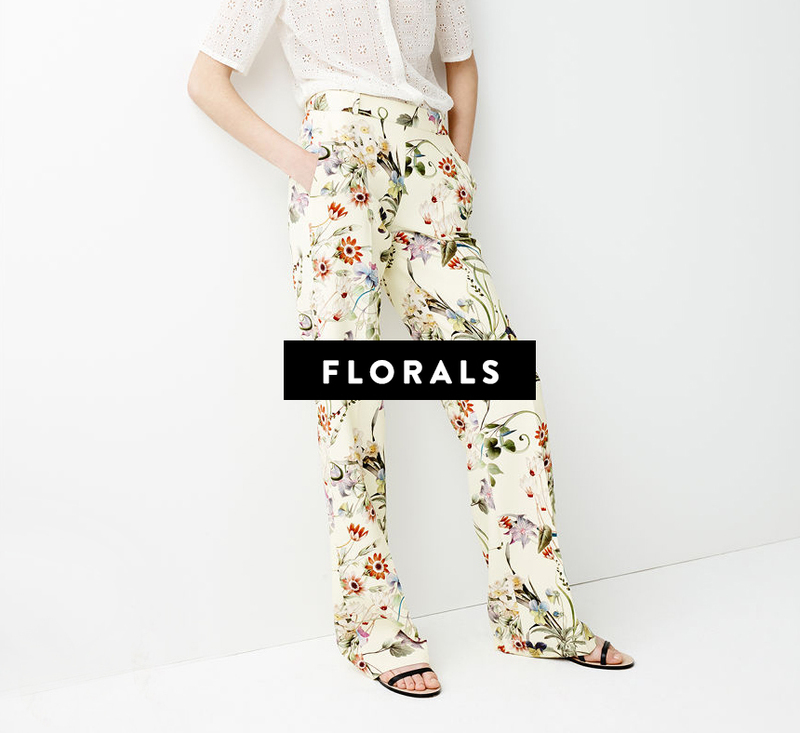 Florals will be infiltrating your feed as we progress into the warmer months. Blame it on the cold winters the last few years, but maybe we just want to celebrate the warm days properly. The beauty of pattern is you can go big or keep it minimal. 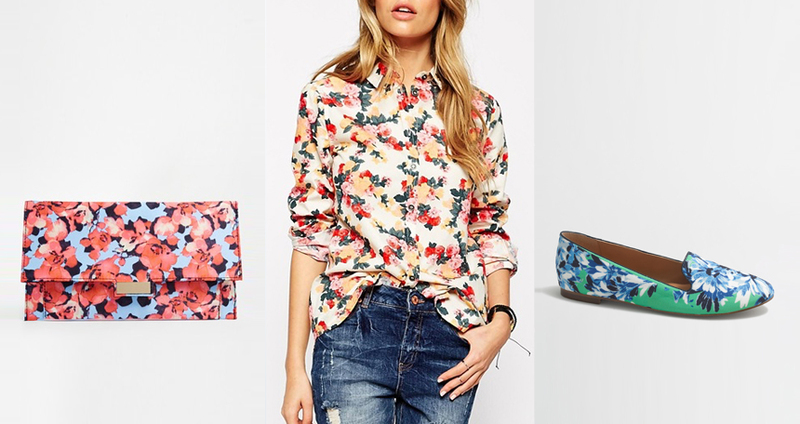 Whether it is bringing a big floral on top and a stripe on the bottom or as simple as grabbing a floral clutch with your neutral outfit, the look is easy to integrate into your wardrobe. I already mentioned that NYFW was full of pops of yellow from street style to the runway. Well guess what? 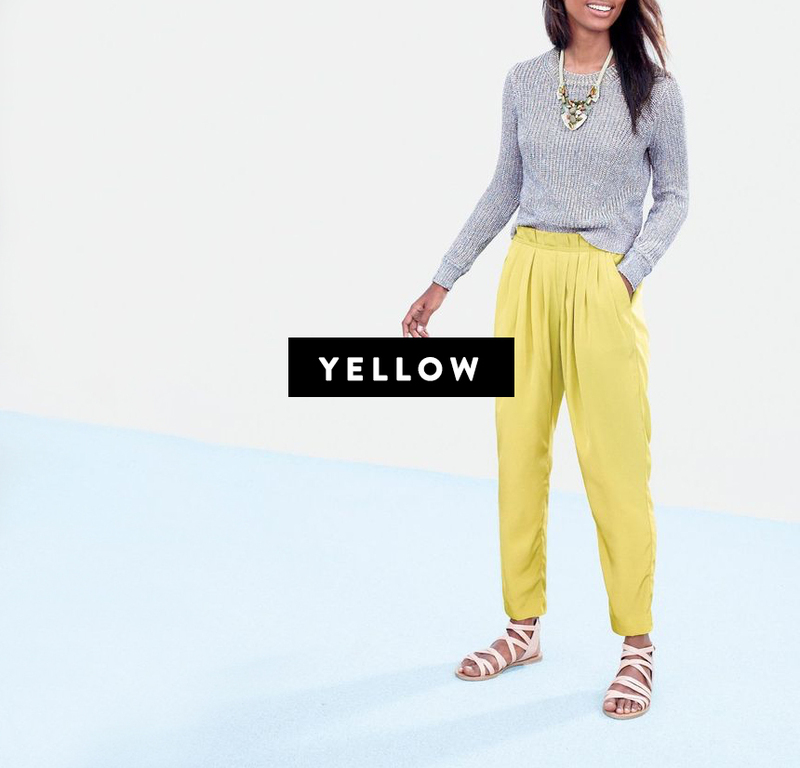 Yellow is here to stay for Spring. 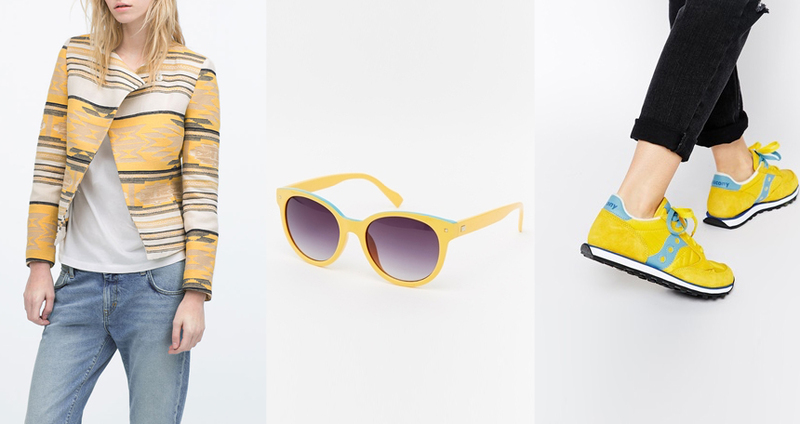 I am don’t incorporate much color myself, and in fact this is the hardest of the trends for me to get behind because I am not a yellow person, but if Jenna Lyons says it’s the way of the future, we must follow our fearless leader. You can keep this one simple as well and I think that is where it shines the best. Having one good yellow piece that strikes your fancy that can be layered in many ways is your best bet, or nab a strikingly loud piece that will speak all on it’s own. Either way, remember the color is very specific. Now being a short girl this sounds like a nightmare. Everytime this trend comes in and out I freak out a little. I do not have the right legs for this look, but I love it on other people. You can go bohemian with this one or keep it really chic. Either way it is comfortable and you won’t be restricting your legs all day in your skinnies. The key to this look is the tucked in shirt. 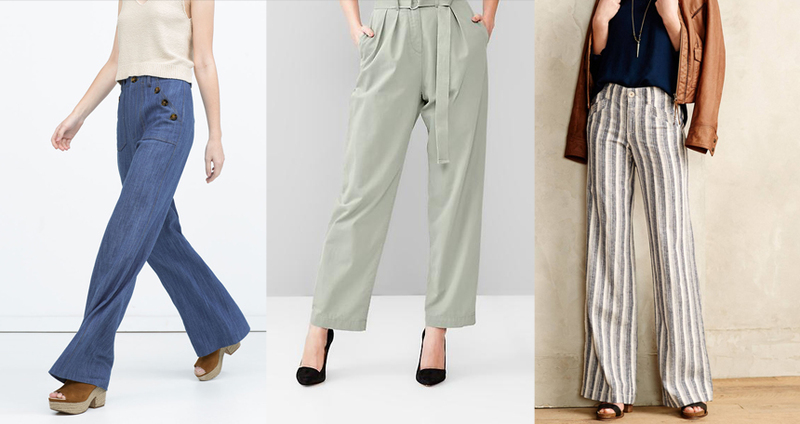 Whether you wear a button down or a simple tank, this look requires you to show your waist off in order to give proper shape and contrast to the wide leg pant. I remember back in the early 2000’s when crop tops were a thing and my mom felt they were very “unbecoming” as she stated ever so nicely. Well thanks to Taylor Swift, the crop top has taken on a whole new meaning. Paired with a high waisted midi skirt and heels for a very feminine look or with a high waisted pant. The key is to not show the belly button. Maybe think of it as the lower rib cage as the new belly button? 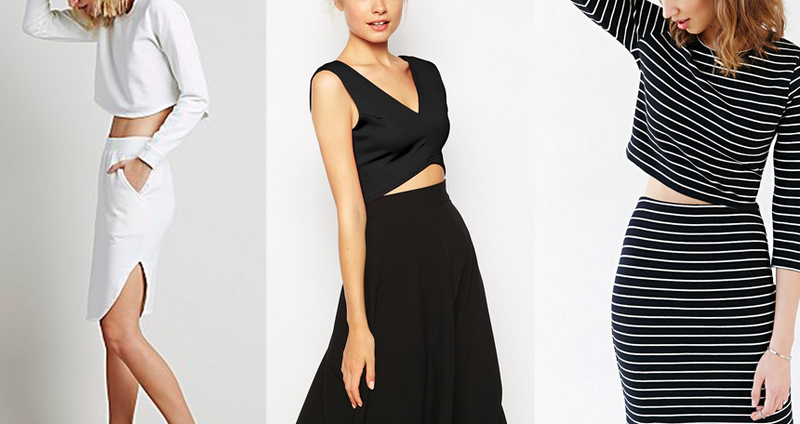 Wear a crop top under a blazer with high waisted pants and heels for a chic after work outfit for drinks or a date. Once again, this could have “unbecoming” connotations, but I promise this one doesn’t depending on how you decide to use it. This look isn’t just for tight dresses that speak ala JLo in the 2000’s we are talking long tunics with slits that somehow now have turned that dress length top into a perfectly chic top. You are going to see these popping up this Spring and I suspect they will be around for a while. I already have a few and I am pretty in love with the breezy feeling without every compromising how much skin I am showing. Grab a long line tank with a high slit and pair it with a favorite jean or high waisted cut off denim and sandles. It will feel pretty amazing this Spring on those really warm days. Does anyone hate a tassel? 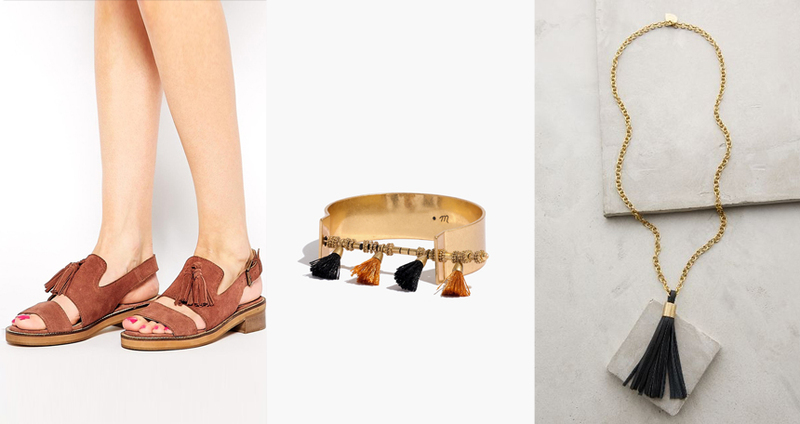 Okay, well maybe I can think of some instances that the tassel isn’t the most ideal thing, but when Jcrew presented their tasseled heels for Spring at NYFW the internet was abuzz. 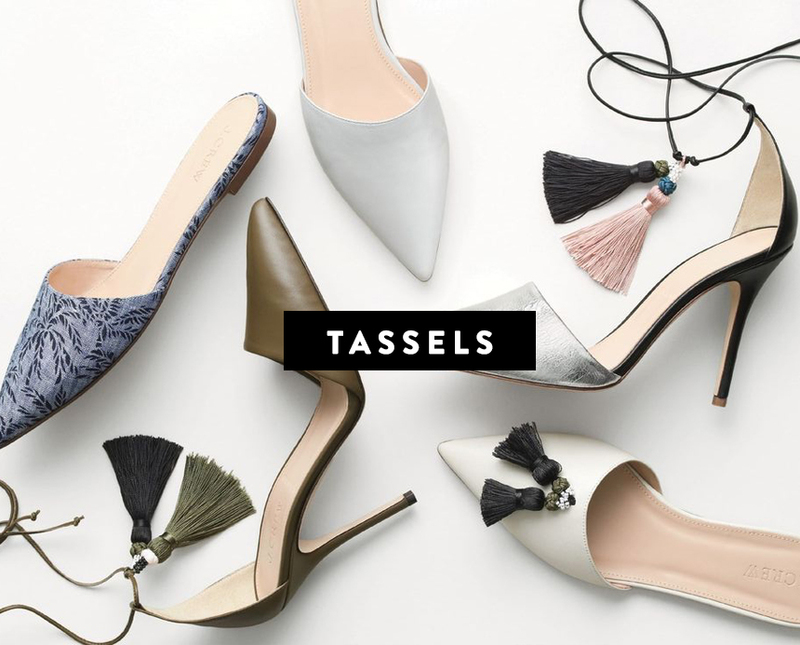 Maybe it is something overly simple, but sometimes after a long winter thinking of having a tassel on your heels seems as if you just were given them the extra celebration they deserve. This is a minimal detail so you will find them on shoes, bags, necklaces, scarves, and even shirts this Spring. They most likely will be accompanied with bead detailing as well. Be prepared. I hope this left you a little warmer and excited for the sunny days and blooming flowers. We are headed to LA this afternoon for a weekend in California. Looking forward to the warmth. Follow my instagram for images from the trip over the weekend as well.